Here you can read about the several brands Wilma’s Lawn & Garden offers. Read about the different product lines and compare the brands for yourself, so you can find the brand that suits you best! Wilma’s Lawn & Garden is created for those who a beginning cultivators and/or cultivate for fun. Atami is created for those who love cultivating, whether you’re a beginning or an advanced grower. The proper soil and nutrition are essential if you want to be able enjoy your plants and garden to the fullest. We therefore recommend our innovative new Cocolite substrates. This professional growing mediums are RHP approved and composed of coco grit, coco fibres, coco chips and perlite. They’re the ideal mix for the cultivation of fruit, flowers, vegetables and house plants. Cocolites have a high capacity for air to ensure large oxygen supply at the roots and an ideal water distribution to promote water absorption by the roots. The Cocolite-11 is perfect for manual watering and the Cocolite-22 is perfect for automatic breeding methods. Wilma Growmix is high quality soil. This mix is a balanced composition for an optimal development of a large number of plants. 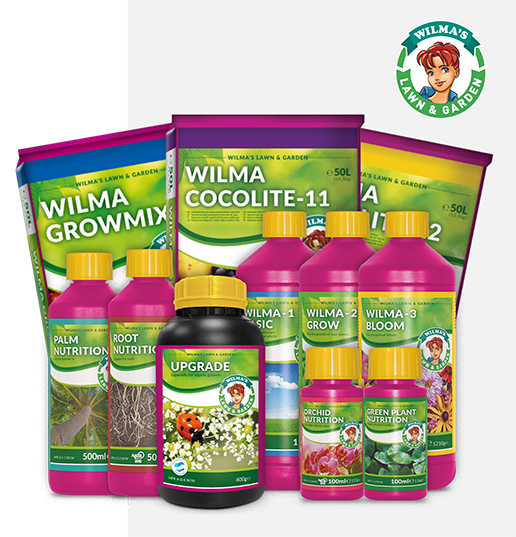 Wilma Growmix is a mixture of various quality types of peat and coconut fibres. Wilma Growmix is a substrate that can be mixed with garden soil or can be used directly in the garden. Atami is a renowned technical biological research bureau since 1997. This brand is known for her large line of products in liquid plant nutrition and stimulators. The products of Atami are pure quality and highly concentrated. These makes the products economical in use and are perfectly balanced. Therefore, Atami products can be used for almost every crop and that’s the reason a wide range has been created for every type of cultivation. This also concerns the environmentally conscious grower, because sustainable cultivation wins more popularity over the last years. 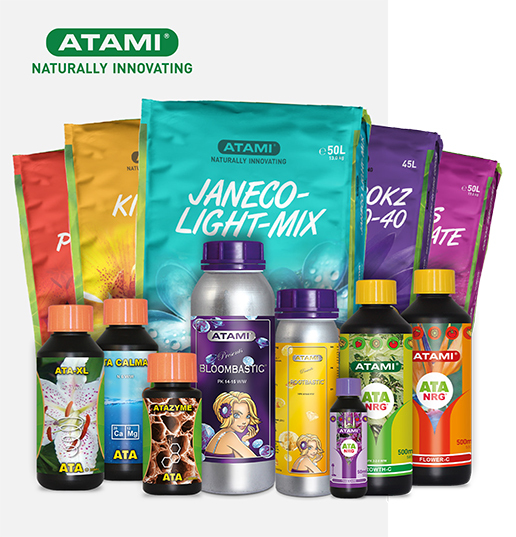 Especially for the environmentally conscious grower Atami created a complete sustainable product line, called ATA NRG. Apart from that Atami also has a product line with liquid fertilizers for the experienced grower: B’Cuzz. Last, Atami introduced the ATA line, for the beginning, easy and swiftly grower! To understand the core business of our branch we have to start off with the basics of cultivation. Each plant starts to grow in a certain kind of cultivation medium or ‘substrate’. In other words a substrate is the base material of organic or non-organic origin which a cultivator uses to cultivate his plants on. Whether enriched with fertilizers or not. Most of our substrates are RHP certified. The RHP trademark has been the European knowledge centre for potting soil and substrates (growing media) for the consumer and the professional since 1963. The RHP Trademark guarantees the quality of the product in the chain from extraction till processing at the buyer. Bring cultivating to a next level! 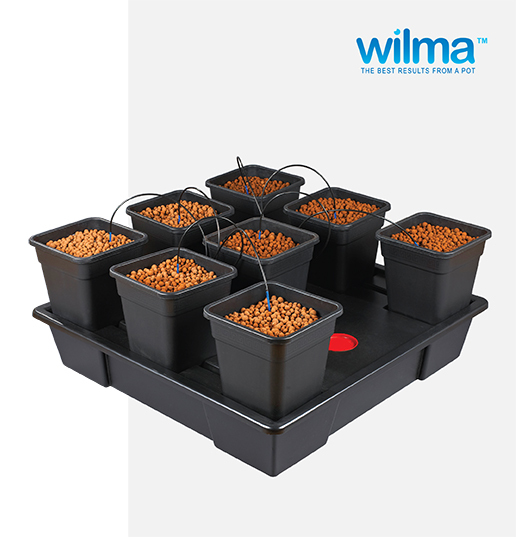 The Wilma system ensures that your plants are given nutritional water in a professional manner, causing that the plants will not experience any shortage that makes them perform optimally. Watering manually will not be needed anymore. Wilma Systems is available in 4/8/10/16 or 20 pots of 6,5, 11 or 18 litres in every container. This way the plants will have more than enough space to develop themselves optimally. The Wilma systems are light weighted and therefore easy to transport and can be placed very stable in every cultivation space, which makes sure that even when the plants are large in size they are neatly standing straight. The Wilma systems are especially designed for the professional grower!